WE appreciate your business very much! Thank you for being our customers for so very long! 15 years as of February 4! We do not have in stock all of our teas. so sorry! (out of The Canterbury) . Most of you know I blend all of our teas by hand. Thanks for your patience. You may get an email asking to make a substitution if we are out of the tea you selected. Join our GROUP on FaceBook for up to date items that someimes are not caught up on our web site. April 30, 2019 Tuesday At Christ Fellowship Church 6 PM in the lower level. 570 Maple Street 47960. 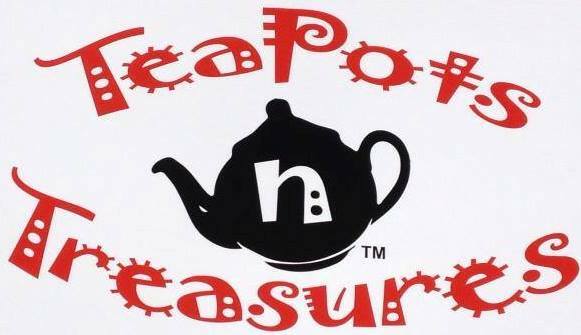 (Maple and South)Please send email to donna@teapots4u.com to register. Class is FREE, but we need a count to set up chairs. Friends, gals, teens, guys, welcome. Teas will be available for purchase also. Lots of FREE parking. I would love to speak at your quilting group.but you gave me wrong email!!! in small batches. We use organic/fair trade/wild crafted/and locally grown ingredients. We do not spray with pesticides! Sometimes when you order I do not have that particular tea or herbal blend in stock, but will email you and blend a batch for you. (Good things come to those that wait!) We do not have ALL our teas on this site (we have about 967!!) so you can text me or send an email if one of your faves is not listed, or you have a request for a blend that you do not see.. I probably have it! The joke around our shoppe and customers is "We have a Tea for that!" We no longer have a retail location in Indianapolis. PayPal ACCEPTED (PayPal accepts all debit/credit cards) and checks. You do NOT have to have a PayPal account in order to pay with it. We no longer have a credit card processor on our site. Please CHOOSE PayPal at the end of your purchase.Thank You. These products are not intended to diagnose, treat, cure or prevent disease. The information on this website or in emails is designed for education purposes only. It is not intended to be a substitute for informed medical advice or care. You should not use this information to diagnose or treat any health problems or illnesses without consulting your family doctor. Please consult a doctor with any questions or concerns your might have regarding your conditions.